Why Should I Get Home Internet Service? These days, free WiFi and free Internet access seem to be everywhere: the library, coffee shops and restaurants, college campuses, and even some buses and city transport. Not to mention, we all carry the Internet in our pockets now with smart phones. So why should you bother with getting internet service to your home? First of all, it’s becoming more and more affordable. So balance the cost: if it’s affordable to get home internet, and it will keep you from paying overages on your cell phone bill, why not get it? Second, home internet service is convenient. Instead of running up your data plan or waiting until you get to work the next day, you can check email, research, and keep up with your social networks on your home internet connection. Third, a home internet connection can be run through a wireless router, giving your whole household internet access. 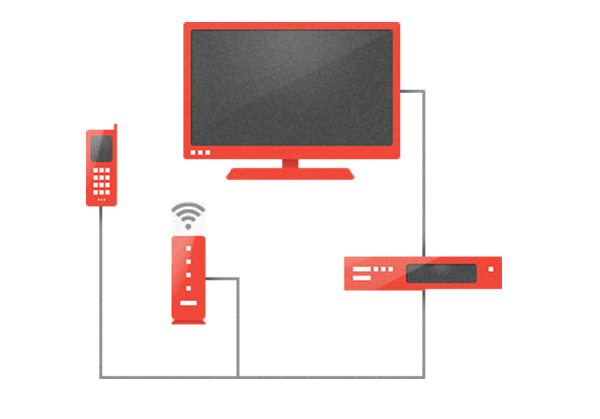 So instead of switching one Ethernet cable from device to device, everyone can connect wirelessly and at the same time. Think home internet service is for you? Jess Hutton loves to research, and she loves playing with apps, gadgets, and food. When she's not face-to-face with a screen, she and her husband take their two dogs out for hikes and ice cream.